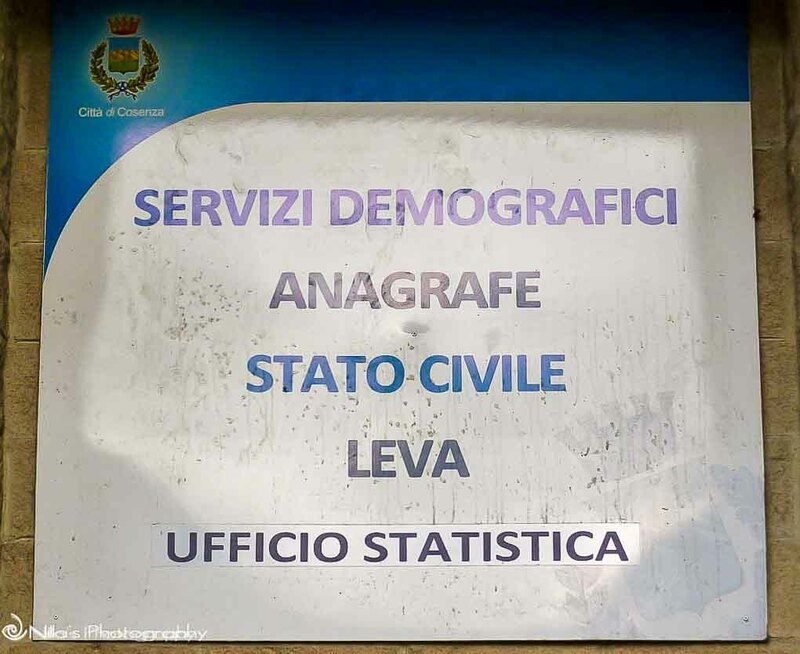 Trying to start the Italian Citizenship process in Naples back in December 2015, sadly I hit a brick wall…this is starting to sound like The Italian Job. More than a year on and I’m no closer, though I’ve learnt a lot. Although in 2015 a very friendly Immigration Officer in Naples tried his hardest to assist in every way, his advised to try in Pozzuoli as we were staying there with Reg at the time. No luck. Too hard for the public servants in the Comune to start the process as it’s too close to Christmas and interests are not around work. I have to leave the EU for 3 months, so decide to volunteer in Thailand during this period. Following the 3 months absent from the EU, the sketchy plan is to return to Calabria but specifically, to my father’s village: Parenti. 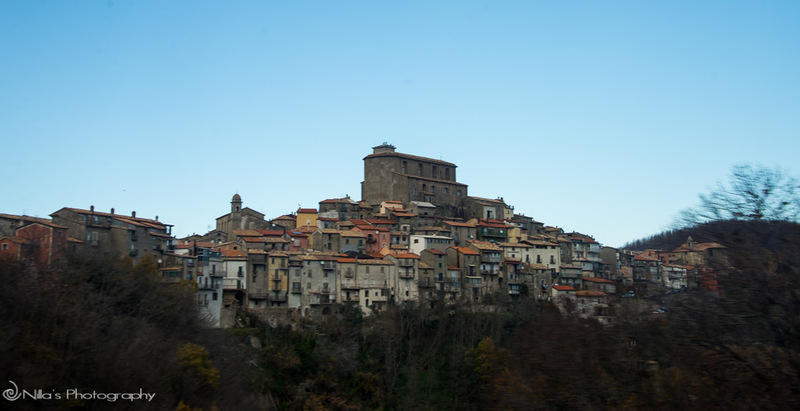 Naively hoping that I’ll have better luck in getting someone to start the process in this tiny village, especially as all my father’s paperwork is held at the Comune (council). I have spent over AUD$600 so far in just obtaining initial certificates, legalising these, translating these into Italian, and then legalise the translation again. After buying a car (Lola) in the UK to drive from Somerset to southern Italy, we only made it to central France before Lola decided to die a tragic death on the busy highway. Four buses later and 36 hours, we arrived in Cosenza, Calabria; our original destination. Emailing the Comune di Parenti many times from Thailand and the UK, and obtaining all the required documentation (I thought) to travel to Parenti and start the process, things are sounding promising. On arriving however, it’s a very different story. The chap at the Comune is adamant I must live in Parenti for him to lodge the paperwork, after I advise that Cosenza is where I plan to live – he’s no longer interested. The first visit proves a waste of time as the person I need is on leave and told to return the following Monday. Another week away and my Schengen clock is still ticking. On returning the following week and waiting in line for over forty minutes, I’m told by the same man I saw the previous week, that I’m in the wrong queue. I should be waiting in front of the person’s office. Finally, it’s my turn and I politely give my documents to the lady. I pull out my father’s Australian Citizenship certificate and her whole persona changes to one of disbelief. Immediately, she advises it’s not possible for me to continue as my father renounced his Italian Citizenship barking: “He was Italian when he went to Australia but he changed” – she speaks as if my father was a traitor amongst truly untarnished residents – the ignorance is priceless. Obviously not interested, she invents a list of ‘additional’ documents required to start the process. The list now includes a certificate from the Italian Embassy in Australia stating that my father was still Italian at the time of my birth. The email I have from this consulate stating this fact is not acceptable and has to be a certified document and translated into Italian. The next hurdle is the copy of my father’s birth certificate I have in my possession, which is an official certificate in Italian that came from the Parenti Comune, but dated 1990. I’m advised the certificate is not the “integrale” (original) and she needs his original birth certificate, which is obviously lost, otherwise my father wouldn’t have requested this copy in 1990. The requests are becoming absurd. The revolving door of bureaucracy is spinning at an alarming pace. Still with composure – but wanting to rip her throat out – I comment that I’d try to obtain all these documents and return to start the process. The sinking feeling that I’m never going to start this process is swallowing me up into its abyss of paperwork and bureaucracy. Decide to try a different angle. As my partner is a dual citizen (UK and Australia) he’ll request Residency in Italy. I can then obtain my Residency as his De Facto, which is the law stated in black and white. This request poses new requirements including depositing €10,000 in an Italian bank account. If the money is in an overseas account: “the bank statement must be translated into Italian and certified, so it’s better for everyone if the money is here in an Italian account”. As this seems easier than the Citizenship route for the immediate moment, this angle poses a glimmer of hope. Honestly, I’m starting to ask myself whether this is worth all this heartache, stress, and expense. The months spent so far with this and not having even started the process, makes me think it’s just not going to happen. This new angle requires a new office, so ff we go to the Questura (State Police). 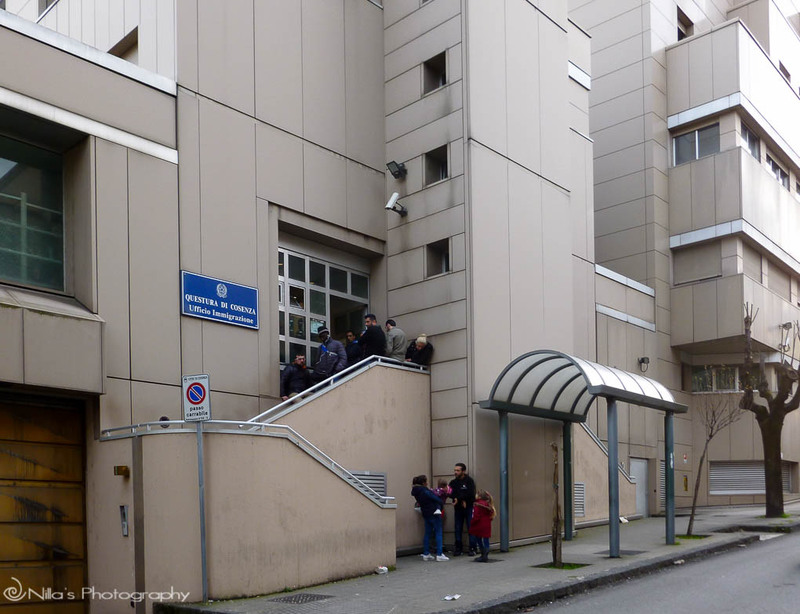 Throughout Italy, this office handles all Immigration, refugees, and anyone entering the country. Whilst there, an officer appears from behind the locked door and starts calling out a name. This question is then asked in Italian, English, French, Arabic, and an African language. The guy holds up an A4 piece of paper in a plastic sleeve stating: “I am from Amantea” (near Tropea, about an hour south of Cosenza). As one of the only people waiting that can speak some Italian, I’m able to communicate why I’m here and after speaking with a couple of officers that can’t help, we’re taken to the Senior Officer upstairs. This officer patiently listens to me and takes out her Bible, which is a few inches thick and slams it on her desk…well not quite, but she isn’t gentile. Thumbing her largish fingers to the page that she wants, responds: “NO – you can’t apply as De Facto”. Advising that the Questura website specifically states we can do this and the laws have changed, she becomes a little annoyed and responds: “NO – you have to get married or you have to return to Australia to apply for the 1-year visa”. Can you imagine an Immigration Officer advising someone to get married to stay in their country? Trying to start the process of Italian Citizenship has been an abysmal failure, yet again. Still in Cosenza after 3 weeks of officials telling me I can only stay on a Schengen 90-day visa as this is on what I entered Italy. I’m also advised that as my father obtained his Australian Citizenship before I was born, my parents were Australian at the time of my birth – “il sangue” (blood) means nothing. The Questura’s online information states that I can apply through my grandparents, but I’m advised by the Senior Officer in the Questura that it’s impossible: “you cannot jump a generation”. More importantly, each bureaucratic office has its own system and paperwork they require, regardless of what is on any official website. Rules are invented on any given day and at the whim of who is delivering the message – nothing is concrete and everything is like shifting sands. Officials explain that both my older sisters would not have a problem applying for Citizenship as “they were born to Italian parents, but as my brother and I were born to Australian parents, it’s not possible for us” – bizarre isn’t it? Sadly, in the 1960s Italy did not allow dual citizenship, which was only allowed from 1992 and there is no Amnesty for people previous to 1992. The only way I can obtain Citizenship is if I live in Italy for 3 years and then apply: “from a former Italian parent”, otherwise this would be 10 years for all non-EU Citizens. Reluctantly, I now need to fly back to Australia for an interview to apply for a 1-year visa. When I return to Italy, I need to apply within 8 days for permission to stay. It appears that the email I received from the Italian Consulate in Canberra stating that my father was Italian at the time of my birth is incorrect. After speaking with this same person last week, basically he had made a mistake but did not want to admit to the error. This email was my proof to return to Italy in the first instance and apply. With a flight now booked for Brisbane in September, I have a lot of appointments and work to do in Australia before flying back to Italy in October. Several days of organising many emails to the Italian Consulate in Brisbane, for the visa as even what is on the online information for Australia is not entirely true in reality. I also require 15 months left on my passport to obtain the visa. But of course, I only have 13 months, so need to also apply for an express passport at a much higher cost before I can apply for my visa. The visa takes 15 working days. So, I’m leaving enough contingency (hopefully) to deal with all the officials in Australia…wish me luck. Also organising a badly needed roof repair and my Niece’s wedding whilst in Australia, so many tasks to complete. Following a lovely cooked dinner by our wonderful hosts and friends, the day is finally here to say…ciao, ciao. The drive to Paola station is about an hour away. We say our goodbye’s, and now on the very comfortable Trenitalia (€15 one-way) to Roma Termini train station. As it’s Saturday and only one fast 3-hour train leaves too early in the morning, we’re on the slower 11:11hrs 5-hour journey, which arrives at 15:34hrs. This train is already full after only 20 minutes. A pleasant picturesque trip following the coastline north for part of the way. One really funny thing I’ve noticed over the years of travelling is that passengers never seem to be able to find their seat numbers. Regardless whether it’s a train, bus, plane, ferry or other. Have you ever noticed this? Why is it so hard? The carriages on this train are numbered, albeit you have to look hard. The seats are also numbered, so there shouldn’t be an issue, you’d think. But, it’s always an issue as passengers always sit in the wrong seats upsetting the whole flow in the train. Conductors have a frustrating time re-organising annoyed passengers to their correct seats. Arriving in Rome late in the afternoon for an overnight stay, venture out to stretch the legs. After returning from Australia, another visit to the Comune is necessary. Although not compulsory as the UK is still part of the EU, my partner decides to try for Residency to be eligible for an Identity Card this time. The Comune advises he needs a legalised stamp stating that our health insurance is valid in Italy – although the insurance specifically states Europe and Unlimited. Again we walk the streets of Cosenza looking for the correct office to stamp and legalise our very expensive Travel Insurance. After about four offices and outdated Google addresses, I decide to walk up the stairs of what I thought was a Sports Health office to see if someone can point us in the right direction. I stumbled into the correct office. Typically though the lady is out for half and hour, so we wait. The very helpful lady turns up and we explain that the Comune requests she legalises our Insurance paperwork. Advising this isn’t necessary as the insurance is valid, she prints several online regulations, officially stamps a post-it note that contains her details, and adviss to have the Comune phone her direct to explain everything. 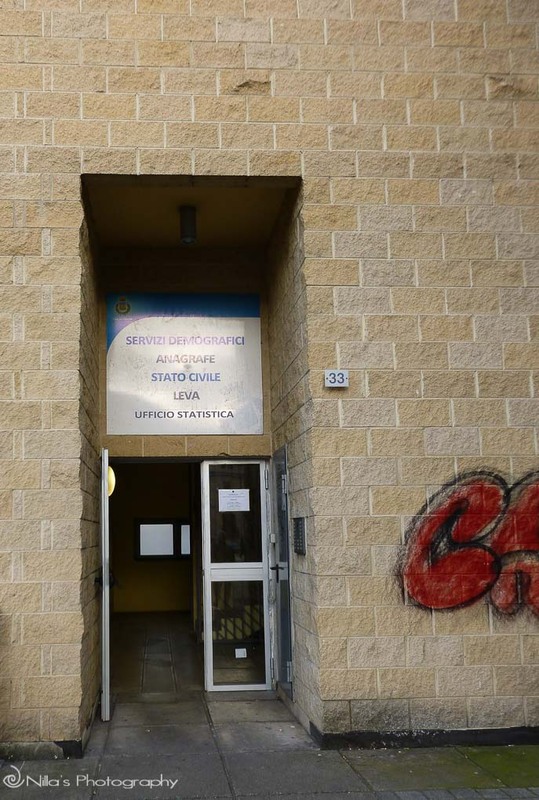 This is the same office that issues all EU Health cards in Cosenza. Returning to the Comune the following morning and greeted by the same unhelpful frosty guy that is so disinterested in his job – he should retire. He’s probably been doing this job for 40-plus years and it’s evident that still knows nothing about his position. A different lady this time and she’s not about the insurance so advises to return the following morning as she has to check with her supervisor. Returning yet again but the same lady we saw yesterday obviously hasn’t checked with her supervisor, so I explain the whole story once more to the same person from August that advised that we needed our insurance legalised. Refusing to accept our health insurance, I requests several times that she phones the Health office – reluctantly she does – departments hate being told by other departments how to do their jobs…inter-department feuds. The next excuse is that my partner does not hold an EU Health Card. The supervisor advises she requires the insurance document translated into Italian and legalised with a stamp – she’s not accepting an English copy. This is a different request from August. Each person makes the rules up as they go along. I lost it with her after she suggests we make a special trip to the Australian Embassy in Rome to have this done. Seriously? We are a 5-hour train journey from Rome. Advising I’m not made of money and that I’ve made a special trip from here to Australia just to get my visa, she mockingly replies: “then it won’t not cost much for you to get the translation done in Rome”. I really lost it after this and tell her to forget about everything. We’re trying to do the right thing by Italy, not putting our hand out for anything, paying our way, and this is how we’re treated – bid her and her colleague a good day, and stormed off. Since this, my partner applied for his EU Health travel card online and waiting on its arrival before the next onslaught. Today is my turn to be the good cop. Having flown back to Australia for the interview for my 12-month visa, my passport now contains the visa stamp. Although within 8 days of arriving, I still must submit a ‘Kit’ at the Post Office, pay another €80, and book an appointment with the Questura. That interview is scheduled for December, in 2 months. Today is that appointment at the Questura at 10:55 am. Walking towards that oh so familiar building with migrants and refugees spilling out of the building, down the stairs, and on to the street, does not give me a warm and fuzzy feeling. Typically it’s mostly North African and Africans waiting. Today it’s the same but also one Russian, three Asians, and me – an Australian. The noisy waiting room is rammed with many more people – a madhouse. Although I have an allocated appointment, the order is barked to take a number and wait my turn, as everyone else is also waiting. Finally I see two police officers in uniform and one in civilian clothes. They start advising that I can’t stay for the 12-months’ residency as I did not own a house here…seriously? Is this a new rule invented in the last three months? I assertively advise several times that I’m not allowed to own a house in Italy as I’m not a resident. And so, the revolving door of bureaucracy is rearing its ugly head again. Finally, between the three officers, some sweet talking on my part, but also being quite assertive reminding everyone that I flew back to Australia for this visa (as advised by two of their colleagues in August), my paperwork is processed. In addition to having my fingerprints taken at the counter, I’m taken to another building to have another full set of fingerprints taken and every section of both hands. Whilst I’m waiting, one officer comes into the room and advises that the waiting room is now empty. Another officer returns to the room then remarks: “the room is now full, another boat load must have just arrived”. These officers process hundreds if not thousands of applications every week. I know this because of the mounting paper work and files in the massive shelves behind the counter – piles of applications marked for each day of many weeks and also for the last year. Everyone at the Questura today is incredulous that I would trade Australia for Cosenza and all want to swap positions, and live in our house back in Australia. One officer’s wife spent a holiday in Australia, fell in love, and wants to move there, but he loves Italy and refuses. So we meet his wife, who also works in this office – of course. Wishing everyone a great Christmas, we say our goodbyes, and I’m advised that I’d receive a call when my card is through in 15-20 days. Card, what card? Although different officers advise different things, the last officer advises I can’t leave Italy until this card comes through. I’m also advised that I must re-apply for my next 12-month-visa two months prior to my current visa expiring and this can be done in Cosenza – let’s hope so as I’m not flying back to Australia. Receiving an official text a couple of weeks ago that my Residency Card is ready for collection today the 6th at 15:05 hrs, off I trot yet again to the oh-so-familiar Questura. Approaching the building, the familiar sight of many migrants spilling out onto the footpath and up the building’s stairway greet me, so too is the very packed room inside. It’s a free-for-all inside. Noisy and not even organised chaos – it’s just chaos. There doesn’t appear to be a process, regardless of receiving an allocated appointment. You still wait in line…but for what? No one advises what you need to do but you must always bring your ‘Kit’ lodgement receipt with you. This vital piece of paper contains your submission bar code – NEVER EVER lose this receipt! What always amazes me about this office after visiting here about half a dozen times now, is from where migrants and refugees are arriving. The office is always full of North Africans, Africans, maybe an Asian, and a Russian or two. Typically, the gender dynamics is out of 60-70 males waiting, there are only 2 or 3 females. As a female seeing this, I despair as to where other females from these countries are and begs the question, why are they not here in this office? I know for a fact that when you attend the Questura, everyone in a family must be present – no excuses. After not getting anywhere, I move to the front of the office with the advancing herd, pushing forward. As the door opens, an officer pokes his head out so I hand him my receipt – this is what everyone is doing but in a frenzied manner. Finally, slipping into the other familiar little office where the officers process the paperwork, I wait. After over two hours of standing up waiting, I ask the officer if I will receive my card today as I’m conscious of their 17:00hrs closing time and only half an hour left. A young lady comes through the door and pushes in front of me pleading with the officer to attend to her first, as she has to pick up her two young children. Mentioning that I’m next, reluctantly he attends to her first – I start stressing. After about 10 minutes, the lady is finished and leaves – clearly, it pays to wear a low top and tight clothes. Finally I’m next and fumbling for my paperwork, the officer moves to another desk where three large boxes sit – fresh from Rome he advises – cards are processed in Rome then returned to various offices around the country. Making small talk about Australia, the officer comments: “we don’t see many Australians, in fact you’re the first I’ve processed”. Finally, he remembers me from the December interview and asks again why I want to live in Cosenza. Again, I advise that my father’s family is from this region and again he advises I can obtain Citizenship – I explain that I can’t. My two index fingerprints are taken again – this is the third lot of prints taken in this office – I sign a form and my card is handed over – all in about 15 minutes. To my surprise, my card expires mid-October 2018, not 2017. This is due to a little checkbox on the Kit’s form that requires you to select 12 or 24 months, from when I entered the country in October, not the interview date in December. I’m hoping that I don’t have to go to any Questura or Comune office again until this date, but have to re-apply two months before expiry of the card. At last I’m free to relax in Cosenza. Incidentally, if anyone has experienced a similar process, please let me know of your woes or, if you encountered a smooth process, I would love to hear all about this also – I may learn something new. Visit my Nilla’s Photography Galleries for more global images. More posts on Italy. What an odyssey! Navigating through Italian bureaucracy can be a challenge even for a citizen so your sticktoitiveness is really impressive. Curious to know what happened from mid-October 2018. It seems we are there. Crazy stuff. Salt to the wounds when I read that Italy granted Citizenship to hundreds of thousands of migrants last year. And although I don’t resent this at all, it just makes my circumstance even more incredulous. Bureaucracy is the fabric of Italy since pre-19th century times – it’s not a new invention! Agree totally. Let thousands of migrants in, and hassle a few… Can’t figure it out. I haven’t figured it out yet and have been here almost two years and still struggling with officials. I read that the nationalities that were granted Italian Citizenship last year were mostly Romanians and Albanians, followed by Nigerians. I’m not sure how accurate this is though. Here in southern Italy, there are many of the ‘rest’ that beg on the streets even though they receive a roof, clothes, food, mobile phone, and a few Euros each day. The comment is “they earn more begging than working doing menial jobs”. I find this quite annoying as these guys are definitely economic migrants and still abuse the system. They come here and expect so much from Italy, which quite frankly, in their own country wouldn’t even get a fraction of and the reason they are here. If it’s one thing that Italians can’t stand, is begging on the street. Maybe you should but you need to live there for 5 years. The difference with Australia is that the legislation is in B&W and you know where you stand. Italy however, although the legislation is in B&W, the reality is 50 Shades of Grey. Wow, such a mix, but then again, we’re all a mix really. Sadly, it’s a very different scenario than when my father’s family went to Australia in the early ’50s. The migrants received nothing and had to work extremely hard. My father worked on roads in Australia’s sweltering heat. He taught himself how to speak, read, and write English as in those days, migrants received no help at all. But, I could go on for hours with what their conditions were like compared to what economic migrants receive today. When you’re young, you don’t tend to listen or react much to those stories. It’s only when you’ve grown up enough to understand what those stories meant and what migrants endured that you start to absorb these into your psyche. Australia was extremely racist in those days. Yes. Migrants then worked hard. With no help at all… And never complained. My family on my mother’s side is totally “blue collar” from Brittany. My grandfather was a railroad man. And I remember my mother saying: “when I was little we did not have any money, but we were not poor”. 🙂 All a question of perspective I guess. I think that Society’s perspective of rich and poor has changed since then – everything is measured by the revolving door of material wealth these days. For me, experiences and people in life make you rich. I commend you for your efforts and also for your partial success – that’s quite an accomplishment considering the formidable obstacles. I have a friend exactly in your position. His parents were Sicilian but they had to renounce their Italian citizenship when they moved to the US. He speaks Italian and Sicilian perfectly, by the way. He’s thinking of paying someone off. He knows an African who paid someone under the table 1,000 Euros and got citizenship papers. He hasn’t done it yet, but is tempted. Until then, he stays under the radar and has been in Italy for about 5 years. Wow, I didn’t know this actually happens but then again, this doesn’t surprise me at all. Your friend could have applied after 3 years as long as he is registered as a resident at his Comune. Yes, it does – lucky vino is cheap in Italy otherwise, I’d be broke by now! The bureaucracy stifles this wonderful country and I’ve read costs over €30billion each year. What a frustrating web of bureaucracy, a lot of wasting your time and an expensive process. My cousin left Venezuela for Italy and got her citizenship easily, but my uncle was still alive and it was before the E.U. was formed. Wow, mine has been nothing but difficult and yes, a web of bureaucracy, which costs Italy 30 billion Euros each year! I still have more to write about this subject as the incompetence of these departments, failed to tell me that I had to register with the Commune so this is another battle I’m currently fighting. I wish I had done this much earlier but I could never afford the time or money. I have just run across your blog. So very eloquent and well written. No punches pulled, just the direct truth. Strikes home! Similar, but yet disimilar experiences. My husband and I met in 1974 while I was backpacking Europe. He spoke no English and I no Italian, but the language of love won out! We went through all the official channels for his immigration to Canada, as my fiance, including the stipulation that we HAD to be be married within 30 days of his arrival. We hastily arranged the wedding, found a priest that could do the ceremony in English and Italian and started our new life in Canada. We had two children, a daughter born in 1975 and a son born in 1980. My husband became Canadian in 1979. Ha, Ha, I bet you know where this is going. As you said dual citizenship was not available until 1992, so my daughter is able to be Italian but my son not! 35 years passed and we never had the means or the want to return to his hometown. His mother and brothers came to Canada to visit but the cost to travel to Italy was beyond our budget. In the mid 2000’s, our situation changed, and the bug hit to visit his parentage. Well after the first trip, we were bitten, and returned every year, not really aware that we were overstaying our Shengen time. When we did realize that 3 months was the limit, we decided to do something about it. IE: Italian citizenship. My husband never took the time to reclaim his Italian citizenship in 1992 when they were granting the dual citizenship. As a hard head Calabrese, his response was: I have an Italian birth certificate, was born in Italy to an Italian mother and father, therefor I am Italian.! Not so sweety, Canadian through and through and Schengen applies to you! So how to be able to go to Italy for more that 3 months and maybe eventually retire there. To be continued……. Will write soon. Thank you for taking the time to write about your experiences and yes, indeed, Canadians have to abide by the same Schengen rules as Australians. Sadly, your husband is Canadian in the eyes of Italy, regardless of his own personal views and I fully understand that this would be hard for him to swallow. It’s as if Italy sees these Italians as traitors, even though it was because of Italy that Italians lost their Citizenship when obtaining a new country’s citizenship. Bizarre isn’t it? The fact that Italy allowed dual citizenship from 1992, tells its own story, I think. Isn’t it a shame that at the same time, Italy didn’t grant some sort of amnesty for those that lost their Italian citizenship? From what part of Calabria does your husband hail? Together with my Schengen time and Italian residency, I’ve been living here a year now and still loving it, although the bureaucracy is something to behold and stifles the country in every way! I’ll be here until mid-October 2018 so if you need any help, please send me a line. Really looking forward to your next chapter…mine has come to a halt for another couple of years. Do you have a blog site that I can follow? In other reality a country should be glad to have a kind person like you 🙂 I hope times evolve and people get kinder and as we understand they have a difficult job is also complicated for us when they seem to get us inside a Kafka nightmare. I hope so too Francis. Maybe after I have been living here for a while, the officials will be kinder to me…let’s hope so. Yes, but now I can relax and enjoy Cosenza until the next round of bureaucracy next year. It’s always quite interesting to see how everyone’s process is so different. I got all of my documentations in order in Canada through the Italian Consulate and I have to say that I had no problems. I was fortunate that my father was still an Italian citizen when I was born. The most frustrating thing for me was waiting for all the long-form certificates I needed to include with my application. Then when I arrived in Italy, getting my Identity Card was easy as I was living in my grandmother’s home in my family’s small town. Given that it’s a small commune and everyone knows everyone, the process was done very quickly! I’m now in Cosenza but I’ve chosen to keep my residence in my father’s town. I wrote about my whole process here, if you are interested: https://calabrisellamia.wordpress.com/2008/10/06/the-continuing-saga-of-dual-citizenship/ (there is a link to the first part of my journey within that post!). I’ve read both of your posts and it does sound as if you had an easier time than I’m experiencing. Indeed it is and I think it’s a game of who can be more tenacious when it comes to dealing with these offices. I wish it was not this hard but I hear that Italy has 3-4 million Public Servants so I guess they need to justify their existence. Things in Europe are so unsettled at the moment, who knows if or when the EU will be disbanded. This may mean it will be easier for you to get citzenship? Good luck, and I think it’s amazing that you are prepared to live in a country that is so different from Australia. We love Europe and hopefully will continue to housesit for a few more years to come. 🙂 PS Definitely have to get back to Italy for a visit!! Thanks for your comment. This is a very long post but it’s been a very long process to get to this stage. Very unsettled, especially here in Southern Italy – one of the first point-of-call for refugees and migrants. I have to agree that the EU-disbanding is now on the cards and fear that it might hinder my Citizenship process. Come and say hello if you find yourselves in Southern Italy and I’m still here!